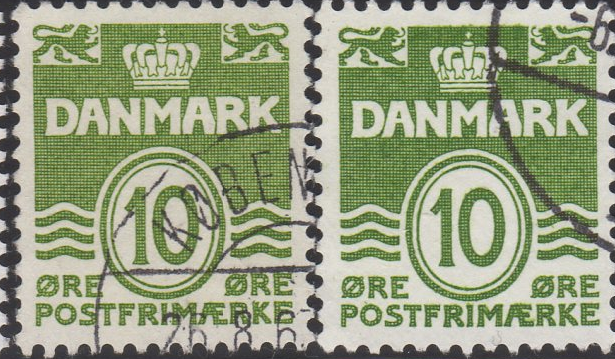 The Denmark series first began in 1905, and the latest issues on record are (I believe) from 2010. 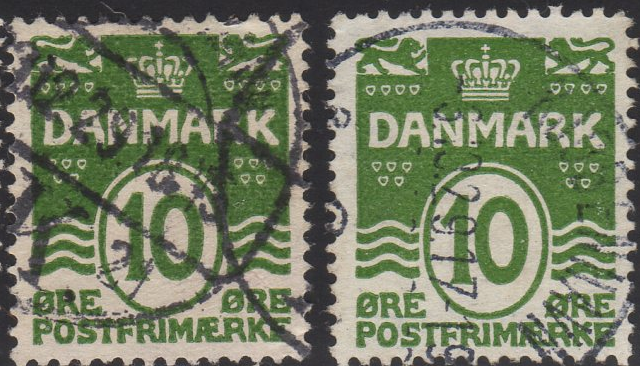 The series can be broken out into a number of basic groups that are fairly easy to distinguish. 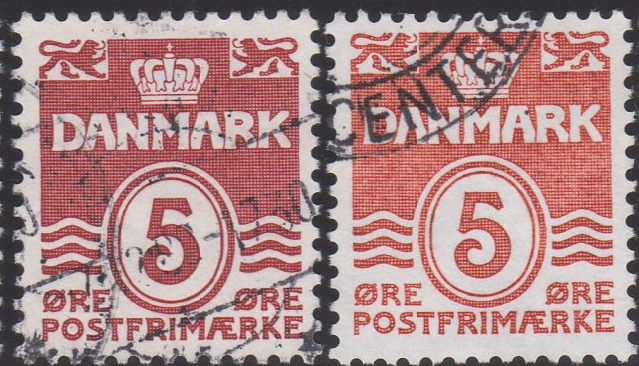 These hearts were used until 1932 when they switched the printing method from letterpress to recess printing. The hearts and lions did not look very good with the new printing method, so the hearts were dropped and the lions were redesigned. 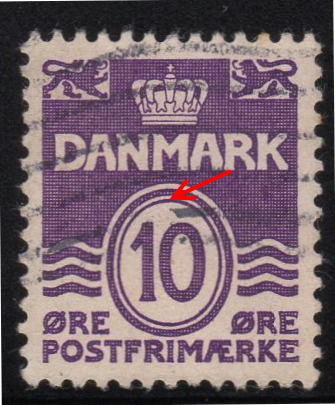 Also a second oval line was added around the middle numeral. 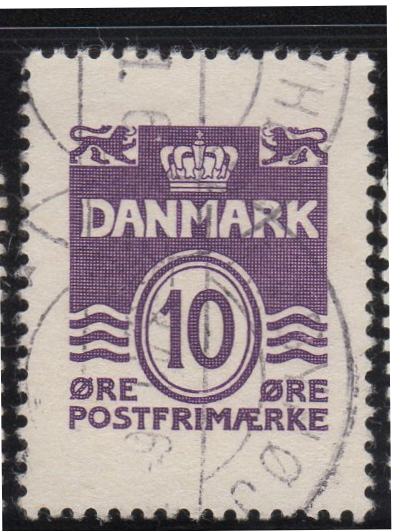 The watermarks are fairly easy to distinguish as well. 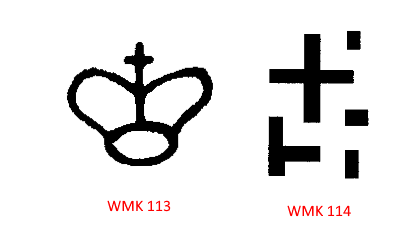 Scott calls them Wmk 113 and Wmk 114. The With Hearts design on ordinary paper comes in 3 “Types” plus one additional oddball sized. The With Hearts design on fluorescent paper is only of one type (Type III). 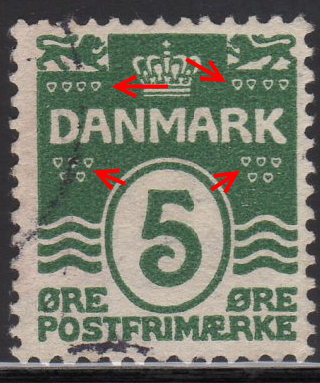 The types are distinguished by looking at the front foot of the lion on the left. It will have either a short vertical white dash, two white dots, or a single white dot. 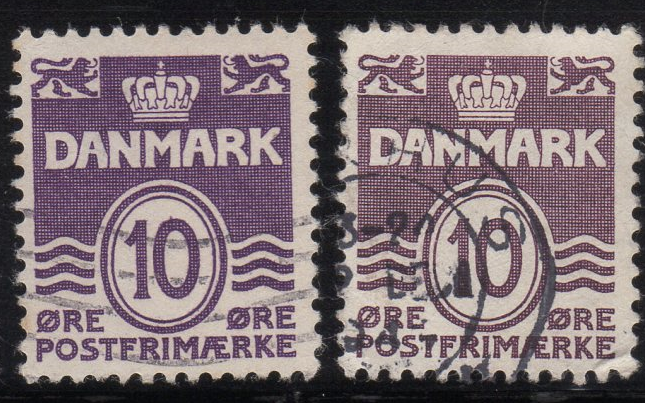 In addition, there was a special “Wide Margin” variety of the 10o Purple (Type III) that came in booklet form (2 attached in a block of 4 to 2 Semi-Postal charity stamps of 1938). 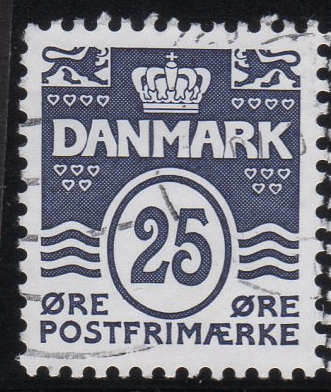 I nearly missed it during my sorting because it was sized like a commemorative stamp! 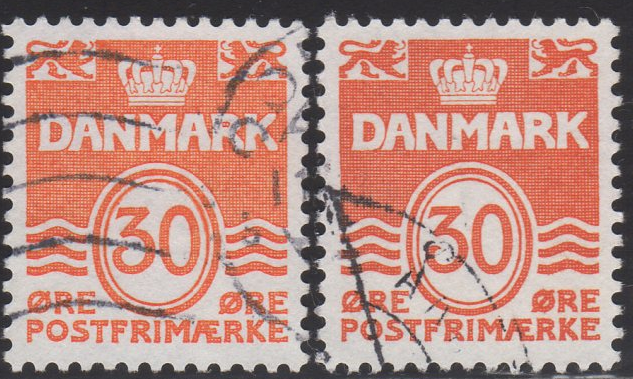 The stamps came in many booklet varieties as well, connected together in various values and with various other stamps, such as the Queen Margrethe Definitives. 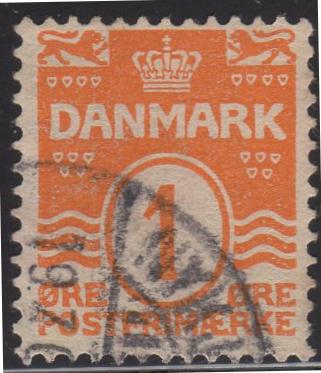 Here is a strip used from a booklet. 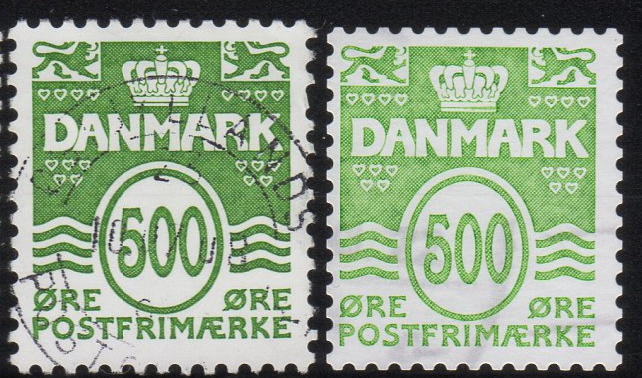 All in all, this is a fun series to collect. There are many many varieties (my collection alone spans 4 stockbook pages) and I have a couple of holes yet to fill. I am going mad trying to find out where the 50 ore wavy lines goes in order. I have flouresant and ordinary paper. This is without hearts. 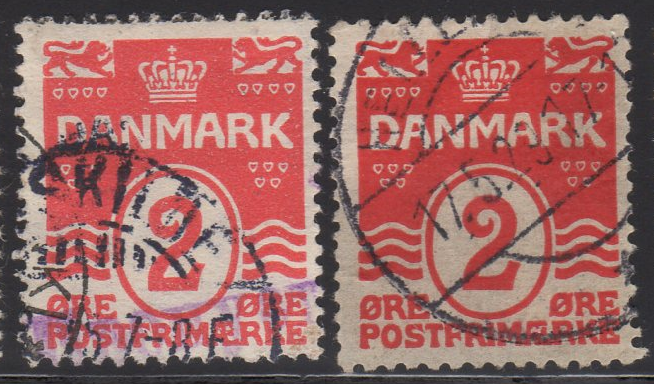 There are old looking stamps and new looking stamps but not consistant with ord or floro. I have looked in the facit specialized and also no help.